Five years ago, the health conditionof the young architect from Moscow, Alexei Shestak, deteriorated in a very short period of time. With ahigh fever and almost unconscious he was taken to one of the hospitals in Moscow, where he was held for ten days without improvement of his condition. 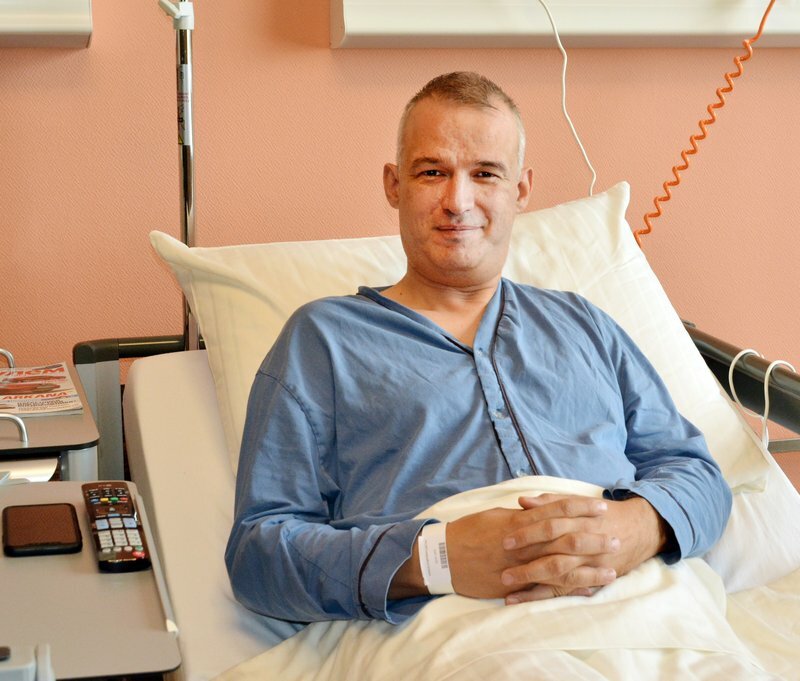 Alexey Shestak stayed in our clinic for two months, a time during which an early sepsis and bacterial endocarditiswas diagnosed to him, since the very beginning. Our doctors immediately started fighting the infection so that they are further able to perform the aortic valve operation that was necessary. But it was not that simple at all. The infection was so strong that it could not be eradicated in a short time, so it was decided to perform the operation of the valvein conditions of an infectious syndrome. By this act, Alexei Shestak became the first patient this operation was performed to, under such conditions – with an infectious syndrome. The replacement of the aortic valve was successful and the fight with the infection continued. The top medical care and constant monitoring at every moment under the watchful eye of our doctors resulted Alexei being able to leave homein two months. – I was nearly unconscious ofwhat happened to methose two months. Then I learned that a new method of haemofiltration was performed on me,for the first time, a method that was subsequently used successfully in other patients, too, which I am very glad for. I thank endlessly Dr. Zan Mitrev and the entire team that saved my life 5 years ago and enabled me to continue to live normally. I also do sports and I do not have any restrictions. Now, after 5 years, I see the new hospital and I am fascinated with the progress. I can say that we do not have such a hospital in Moscow, and that all of you should be grateful for having this kind of health facility in your country – said Alexey happily. After sightseeing in Skopje and several places throughout the country, he leaves home, continuing his life. We wish success and happiness.